SPROUTING; EATING YOUR FOOD ALIVE! Too expensive to eat healthy? Did you know you can grow your own healthy food year round, even in the winter months? 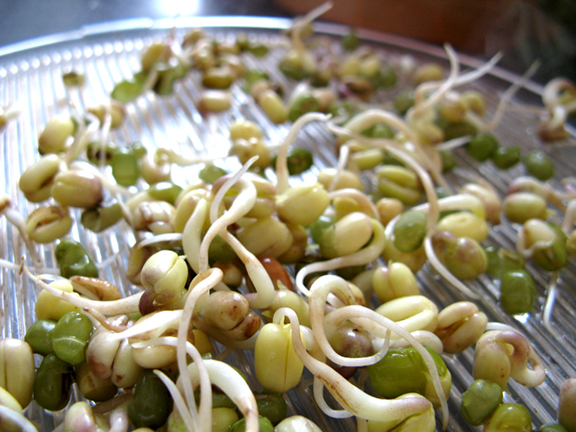 Eating high amounts of sprouted foods, along with other vegetables and fruits promotes health and vitality. As a low calorie, high nutrient food that supports improved metabolism, sprouts are excellent for overweight people wanting to lose weight. They are an abundant source of nutrients during the winter months when there is less leafy greens and other fresh vegetables around. Sprouts are living foods that contain active enzymes that help digestion. When sprouting, B vitamins are greatly increased. Vitamin C is enhanced compared to dry seeds. Many other important vitamins are increased including Beta-carotene, the precursor to Vitamin A. The nourishment in fresh sprouts per dollar surpasses most any other food. 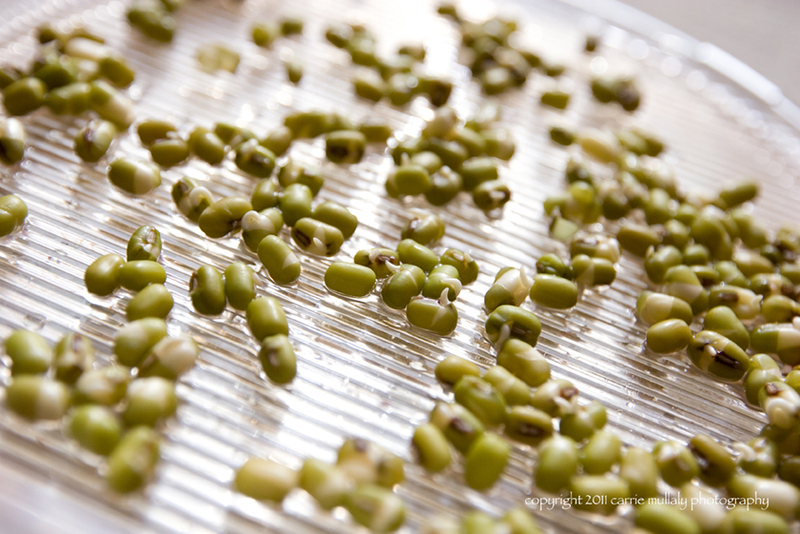 When a seed is sprouted into the first beginnings of a new plant, much of the stored nutrient potential bursts into the seedling and these little sprouts, including the seed, grain or bean with its greenery become loaded with these nutrients. Protein content increases between 15% and 30%, depending on the plant as the carbohydrate source gets converted. Chlorophyll and fiber content also increase. Sprouting at home is very simple, you can purchase a sprouting ‘system’ which usually consists of a few trays that drain water down through them. These are available at most health food stores. I purchased mine at http://www.communitynaturalfoods.com/ OR you can use a glass jar covered with a cheese cloth and tilted onto a tray for drainage. First, you want to soak them for several hours and rinse them once or twice. Keep them out of direct sunlight and rinse 2-3 times a day, draining off the water and letting the moist sprouts sit. When they have sprouted, place them in a little light and keep rinsing 2-3 times a day to keep them clean and fresh. In 1-3 days, depending on the type, voila, you have fresh, green sprouts! Sound simple, sure is. Keep them refrigerated in a closed container and enjoy fresh on sandwiches, salads or as a snack. Cook them in soups, stir frys and many other dishes. *Always remember to use clean, pure water for rinsing!